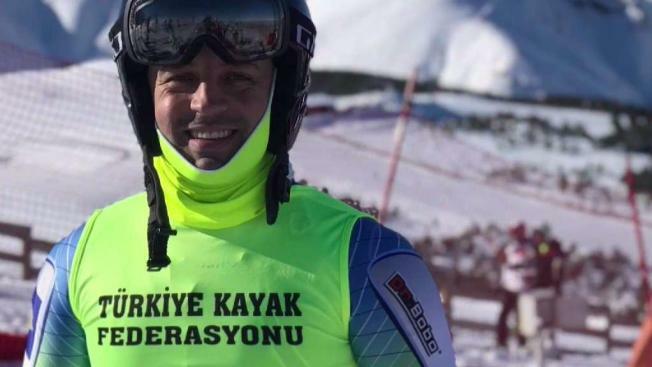 A Brooklyn building superintendent is going to the Olympics to ski years after escaping Kosovo. John Chandler reports. Every night, there’s a racket coming from the basement of Besnik Sokoli’s Brooklyn building. But it’s not coming from the pipes or boiler. It’s Sokoli, gliding back and forth on a ski training machine in the bowels of the Dumbo building. And recently, the building superintendent and former refugee from Kosovo has been training more than ever. That’s because he’s heading to South Korea next month as an alternate on his native country’s alpine skiing team for the 2018 Winter Games in Pyeongchang. Sokoli, 36, said he only picked up racing a year ago, during a trip to Shawnee Mountain Ski Area in the Poconos last January. But it was clear early on: he was fast. So fast that he won his first race. It wasn’t long before he started to think big, and made a bid for the Olympics. “(My wife) thought I was crazy,” he said. Sokoli will be an alternate for Kosovo’s national team, but said that could not have been possible if he didn’t leave his homeland as a teenager, escaping concentration and refugee camps in the war-torn nation. But once he made it to New York City, things looked up. He met his wife and had kids. He became the superintendent for five buildings. And he found a training spot in a boiler room good enough to push him to one of the world's brightest stages. “Coming to America was the best thing that ever happened to my life,” he said.